There is a really hot deal going on right now at Old Navy. 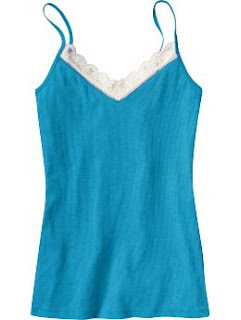 You can get these lace cami tanks for only $2.00 – marked down from $12.50! This deal is good only in the stores now through February 11th. Then, get yourself a $5.00 off of a $25.00 purchase printable coupon right here. Once you get into the site, find the toddler girl star. The page will change pictures. Click and drag the read heart in the middle of the jacket over to the left sleeve and let go! Walla – coupon!